The Coventry Telegraph reports on the violent assault and racial abuse suffered by a Muslim teenager as he left a Coventry mosque on Sunday following the late evening prayers. The police have launched an investigation after the 18-year-old, who wishes to remain anonymous, was attacked between 11:45pm and midnight after leaving the mosque on Eagle Street, Foleshill. The teenager received a black eye during the assault but escaped before he suffered any other serious injuries. 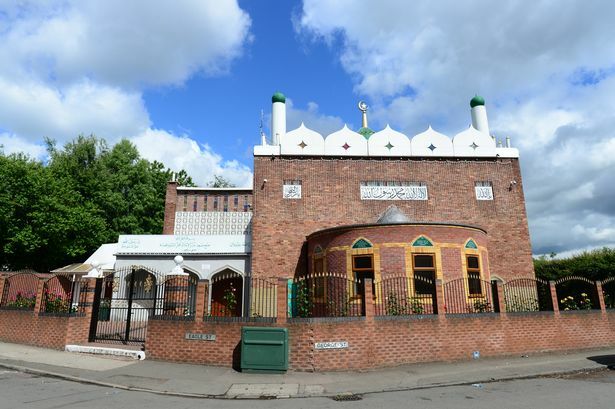 It is believed his attackers may also have targeted the nearby Masjid-e-Zeenat-ul Islam mosque, in Stoney Stanton Road throwing stones at its windows before attacking the teenager. The attack occurred shortly after the teenager became separated from friends after leaving the mosque following prayers. He was approached by four men who called him a “P***” before attacking him from behind. The Coventry Telegraph reports the men are believed to have been travelling in a dark coloured Toyota. Mr Hussain claimed that his son’s attackers threatened to violently attack him before the assault took place. While the area outside the mosque and surrounding roads are covered by CCTV, door to door inquiries were being conducted by police yesterday.